Dandruff is caused when the scalp’s epidermal layer is excessively replaced with a new layer, it is a fungal infection called malassezia yeasts. The out layer appears as flaky dead cells. Excessive dandruff can further cause acne, eye redness, allergies and sneezing. Though the present market offers several counter top anti-dandruff products, it can be cured naturally with herbal treatment at home. Lemon has proven to be effective in fighting and reducing dandruff. Is Lemon good for Dandruff? It contains anti-fungal properties that combat dandruff causing fungus. It has vitamin C and citric acid that fights against the dandruff. It moisturizes the scalp and shed away dead skin cells. It removes the stickiness on the scalp. The acidic property of lemon balances the scalp’s pH level. Its healing property soothes irritation and reduces itching. It contains essential antioxidants and vitamins helpful to promote healthy scalp and hair. Lemon rinse cleanses away leftover soap, shampoo or any chemicals applied on it. Lemon is an easily available and is an inexpensive ingredient that removes dandruff naturally. Cut 1 ripe lemon into two halves and apply the juice directly on the scalp. Massage it gently for few minutes and let it sit for another 5 – 10 minutes. Rinse your hair with cool water. Note: Do a patch test first to make sure it doesn’t irritate the skin. Coconut oil has deep moisturizing property that clears dry scalp and dandruff. Both coconut oil and lemon contains anti-bacterial properties that fight dandruff causing fungus. Mix 2 tablespoons of warm coconut oil with 1 teaspoon of lemon juice and massage onto the scalp. Leave it on for 1 hour then wrap your hair in a warm towel. Leave for 20 minutes and wash off with mild shampoo. Note: You can add grapefruit juice for effective results. Mix 1 teaspoon of lemon juice, 2 tablespoons of coconut oil and 2 cups of warm water. Apply this on the scalp for few minutes at night time. Mix lemon peel and coconut oil in a clean glass jar. Place this in sunlight for about 10 days. Strain the oil and apply this on the scalp and massage it gently. Hazel oil moisturizes the scalp to prevent dryness and inflammation. Combine 1 tablespoon each of fresh lemon juice and witch hazel oil. Slightly warm the mixture on indirect heat. Apply on the scalp and massage in a circular motion. Leave it on for 30 minutes and rinse it with mild shampoo and water. Repeat this regularly to get rid of dandruff. Lemon with its acidic nature cleanses the scalp to remove the dead cells and dirt particles. Fuller’s earth absorbs excess oil from the scalp and prevents irritation. Mix fuller’s earth, water and lemon juice into a paste. Apply this on the scalp thoroughly. Rinse with water and repeat once a week. Curd moisturizes the scalp and hair and honey has anti – bacterial and anti – inflammatory properties. Mix 1 teaspoon of raw honey and 1 – 2 tablespoons of lemon juice in 1/2 cup of curd. Apply this thoroughly on the hair. Leave for 30 – 40 minutes before washing with mild shampoo. Mix sour curd, lemon juice and honey and heat slightly. Apply this on the scalp and wash it off after 20 – 30 minutes with water and mild shampoo. You can apply lemon curd on the hair with lemon peel and rub it gently with the inside of lemon skin. Garlic with its antibiotic property kills the bacteria on the scalp. Mix 2 tablespoons of garlic powder with 1 tablespoon of lemon juice to make a paste. Apply on the scalp and hair and massage it gently. Wash with herbal shampoo and cool water after 30 minute. Repeat regularly to reduce dandruff. Ginger acts as an anti – fungal and anti – inflammatory. Olive oil strengthens and nourishes the scalp and hair. This combination process not only clears dandruff but also prevents its recurrence. Peel and blend a ginger root to get its juice. Mix equal quantities of ginger juice, fresh lemon juice and olive oil. Mix it well and apply this on the scalp by massaging it gently. Wait for about 30 – 45 minutes before washing with water. Mix 1 teaspoon each of fresh lemon juice and extra virgin olive oil. Apply this mixture on scalp and hair. Wrap a towel around it overnight and wash off the next morning. Hot oil treatment along with lemon juice is one of the best ways to treat dandruff and other scalp problems. Warm 1 tablespoon each of castor oil and coconut oil on an indirect heat. Add 1 tablespoon of lemon juice and stir it well. Comb your hair and apply this warm oil mix on the scalp. Massage your scalp and hair gently in circular motion. Cover your hair with a warm and moist towel. Wash it after 20 – 30 minutes. Apple cider vinegar contains acetic acid that kills the fungus which causes dandruff and also clears dead skin cells on the scalp to prevent dryness and itchiness. Mix 4 tablespoons of cider vinegar in 2 tablespoons of fresh lemon juice. Apply this all over the scalp using a cotton ball. Fenugreek seeds have natural emulsifying properties that moisturize and hydrate the dry and itchy scalp. Mix 1 tablespoon each of fresh lemon juice and dried powdered fenugreek seeds until it forms a paste. Apply on the scalp and let it sit for about 20 – 30 minutes. Mix 2 tablespoons of tea powder in 1/2 cup of water in a pan. Heat until you gets a thick consistency. Keep the lid closed for few minutes and strain the tea. Apply on the scalp with cotton ball when it is warm. Leave for 15 – 20 minutes and then wash your hair. Egg contains proteins and nutrients that nourish the scalp to prevent dryness, itching and inflammation. Whip an egg and add 1 tablespoon of fresh lemon juice. Stir it well and apply this as a hair mask. Leave it on for 15 – 20 minutes and then rinse your hair with water followed by mild shampoo. Mix 1 egg white and the juice of 1 medium sized lemon. Apply this mix on the scalp and wash it with mild shampoo. Use lemon water as a final rinse. Mix the juice of 1 lemon and an egg with 3 tablespoons of henna powder to make a fine paste. Wash it off after 15 – 20 minutes. Blend some dried orange peel and lemon slices. Apply this paste on the scalp thoroughly. Leave it on for 20 – 30 minutes and wash it off with water. Apply your regular conditioner as usual. Repeat regularly to get desired results. You can also mix orange peel powder and lemon juice to make a paste. A lemon rinse is the best way to remove dandruff from the scalp and to prevent its recurrence. Combine 4 tablespoons of freshly squeezed lemon juice in 1 mug full of water. Use this lemon water as a final rinse for your hair after shampooing it. For more effective results, use this lemon rinse after hot oil treatment. You could also boil 4 peels of lemon in 4 cups of water for about 20 – 25 minutes, let this concoction cool down and use this to rinse your hair. Repeat this lemon rinse regularly. Neem leaves are loaded with anti – bacterial, anti – fungal and anti – inflammatory properties that work well to reduce the dandruff growth. Blend a few neem leaves to make a fine paste. Add the juice from half a lemon and stir well. Spread all over the scalp and wait for 30 minutes. Wash with shampoo and water. Boil few neem leaves in 4 – 6 cups of water and strain the liquid. Mix 2 teaspoons of fresh lemon juice in it and use this to rinse your hair after using shampoo. Mix fresh lemon juice and baking soda to make a fine paste. Apply on the scalp thoroughly. Leave it on for a few minutes until your scalp feels itchy. Wash your hair using apple cider vinegar as your conditioner. Regularize this process to get quick results. Hot oil therapy is another effective way to treat dandruff. This therapy stimulates blood circulation and nourishes the scalp to prevent dryness, itchiness and flakiness. Warm 1/2 cup of any oil (castor oil / olive oil / coconut oil). Apply this oil on the scalp and massage in. Wrap your hair in a hot steamed towel and leave for an hour. Apply fresh lemon juice on the scalp and leave it on for about 15 – 20 minutes. Both honey and lemon acts as hair cleansing agents. Mix 2 teaspoons of fresh lemon juice in 5 teaspoons of raw honey. Apply this mixture on the hair and then wash off with water. Aloe vera has anti –bacterial and anti – fungal properties that clears dandruff. Mix freshly extracted aloe vera and lemon juice together. If it stings, apply 1 tablespoon of yogurt or olive oil to this mix. Leave it on for about an hour and rinse your hair with mild shampoo. Combine the oil of sandalwood and fresh lemon juice. Massage it gently and leave it on for an hour. Shampoo your hair and repeat the same process regularly. Combine 1/2 cup of milk, 10 grams of black pepper powder and the juice of 1 lemon. Apply this mixture on the scalp. Tomato improves the blood circulation and restricts the dandruff. Mix 2 tablespoons of fresh lemon juice in 1 cup of tomato juice. Leave it on for few minutes and wash it off with water followed with mild shampoo and conditioner. Add sugar to 1 tablespoon of lemon juice. Stir it well and apply this mixture on the scalp. Expose your hair to the sun for about 5 – 6 hours. Then wash it with mild shampoo. Mix equal quantities of fresh lemon juice, sugar and pure mustard oil. Wash it off with lukewarm water after 30 – 45 minutes. Lemon kills the dandruff causing bacteria while coconut oil and yogurt nourishes the scalp. This combinational process not only in prevents dandruff but also enhances hair growth. Combine ½ a cup of fresh coconut milk, 2 tablespoons of yogurt and a few drops of lemon juice. Stir it well and apply all over the scalp and hair. Cover your head with shower cap and leave for about 30 – 45 minutes. Wash it off with mild shampoo and water. Using natural shampoos with ingredients like lemon and cucumber helps to cure the problem without any side effects. Peel 1 lemon and 1 cucumber. Blend them in a food processor to make a fine paste. Massage it on the scalp and wash it off with water thoroughly. Always do a patch test before using these methods. Add some fresh lemon juice to your shampoo to create an anti-dandruff shampoo. Do not go outside in the sun after applying lemon on the scalp as it may bleach the hair slightly. Make sure lemon juice does not get in your eyes. Avoid using lemon juice with aloe vera on your hair frequently, as it lightens the color of hair. Rub lemon juice mixed with cosmetic vinegar on the scalp with cotton wool after massaging with hot oil on the scalp and leave on overnight. Mix amla juice in lemon juice and apply this on the scalp. Wash it off with water after 30 minutes. Or use mustard oil instead of amla juice. Always try to use fresh lemon juice. Dilute the lemon juice if you have a sensitive skin. Lemon is acidic in nature, so excessive use of lemon on the scalp and hair can make hair brittle. Make sure to consult your dermatologist or healthcare professional to seek advice if these methods don’t help. Other than following these remedies, make sure to drink plenty of water and have a balanced diet, etc. Did you try the above home remedies to get rid of dandruff? Feel free to share your experience with us. To treat dandruff, you have to apply lemon juice only on the scalp and avoid the applying along the hair. If you apply along the hair, it can lighten the hair. So it is better to apply on the scalp carefully and wash after few hours. No, it is helpful in reducing the dandruff and encouraging the hair growth. So you can use it. Lemon contains antifungal properties so it helps to combat the dandruff caused by fungal. Choose any remedy from the above article and try it regularly. Apart from that wash your hair regularly, avoid using hair styling products until you achieve the results and drink plenty of water to keep the scalp hydrated. i have problem of hair falling and dandruff causes. is it cure my problem and increase my hair strongly by using of lemon. Yes, it can. The anti-fungal properties and Vitamin C present in lemon fight off the fungus causing dandruff. It balances the pH level and promotes healthy scalp and hair. You can try it once in a week. 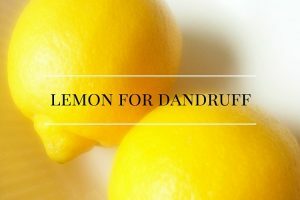 How many times lemon can be used on scalp ? Like how many times a week ?? 2 – 3 times a week should be enough. I have lots of dandruff what can i do and is it the yellow lemon? You can try any remedy mentioned above in the article. You can use either yellow or green lemon as per your convenience. Is it okay to rinse the hair with lemon and warm water mix after shampoo wash since lemon is not reccomended to apply on hair…. Yes, it is okay. As lemon is diluted in water, it becomes alkaline which doesn’t harm your scalp. Its been 4 years now I’ve been attling with dandruff and I am absolutely frustrated. I’ve been using a antidandruff shampoo which seems to help but the moment I stop using it the flakes come right back. Its as though its addressing the symptoms but not actually addressing the cause of the dandruff and curing it. I want to try the lemon juice remedy but I am afraid as lemon can bleach hair and I will get suspended from school if my hair is bleached. What do you suggest that I do? Can i store coconut oil and lemon mixture or do i have to add fresh lemon juice every time ? You have to use fresh lemon juice every time. Follow any remedy mentioned above in the article. Apart from that repeat hot oil massage 2 times in a week. Wash your hair 2 – 3 times in a day. While going out in the sun, cover your head with a hat or scarf to avoid harmful UV rays. Drink plenty of water to keep the scalp hydrated. I have Dandruff on my face , what can I do about it ? Warm up some coconut oil or olive oil and apply it on your face. Leave it on overnight and rinse off in the morning. Apart from that drink plenty of water to keep the skin hydrated. Can I mix lemon and onion juice for hair growth and to stop dandruff?? Yes, you can. As both the ingredients are beneficial for scalp and hair health you can use them to treat dandruff as well. The cold and dry weather of winters is also one of the reason for dandruff. Yes, you can mix butter milk and multani mitti to get rid of dandruff. Mix both ingredients to make a paste. Apply the paste on the scalp and along the hair. Leave it on for 30 minutes and rinse off with water. Repeat the process 2 times in a week. What is the Procedure of applying lemon and water on scalp ? Combine equal amounts of lemon juice and water. Massage the solution on the scalp and leave it on overnight. Wash your hair normally with water and shampoo. Can we apply coconut oil and lemon juice to hair and leave it overnight?? Does it cause any damage to the skin/ hair?? And how much time lemon juice can be applied to hair without any effects? Yes, you can leave it overnight. It will not cause any damage to the scalp. You can improve hair growth and thickness of the hair shaft by following any process mentioned in this article – http://homeremediesforlife.com/hair-growth/. Apart from that, you have to eat nutrition rich diet, reduce your stress levels, drink plenty of water, wash your hair regularly, and do a hot oil massage 3 times in a week. I’m having wet dandruff.. Hairs are getting oily and they falling a lot.. What can I do?? Try 4 or 10 method mentioned in the above article regularly to get rid of dandruff. Hey…I am suffering from dandruff for about last 4 yrs….tried using a shampoo which my dermatologist suggested bt then it’s not helpful…and den took a saloon treatment…tat also dint succeed…so nw I am quite frustrated so how many times should I use this lemon in a week..and which aloevera gel will u suggest?? We have mentioned various procedures of using lemon in the above article. You can try any of it as per your convenience. You can try lemon method 2 – 3 times in a week. Apart from that drink plenty of water to keep the scalp hydrated. We suggest freshly extracted aloe vera gel from a plant. If you don’t have an aloe vera plant then you can use bottled aloe vera that is available in the stores. Is lemon helpful for this or not?? If i remove hair from my sculp tahn its more beneficial or not?? Yes, lemon is beneficial for treating dandruff and hair fall. Dandruff is caused due to scalp infections, the antibacterial properties of lemon help to combat the infection. So, you don’t have to remove the hair. Just try any one of the above mentioned above to solve the problem. Nope, lemon is not good for colored hair. The bleaching properties of lemon can change the hair color. So, it is better to try any other ingredient like olive oil. You can read the remedies mentioned in this article – http://homeremediesforlife.com/oil-for-dandruff/. While choosing a shampoo make sure it doesn’t contain paraben, SLS, and other harsh chemicals. It is better to choose a herbal shampoo instead of chemical shampoos. When i use lemon juice directly to my scalp , will my hairfall because it is citric acid ? Usually, it doesn’t but if you have sensitive scalp then it may increase the hair fall. You can mix lemon juice with some water to make it alkaline or any other ingredients to make it less acidic. 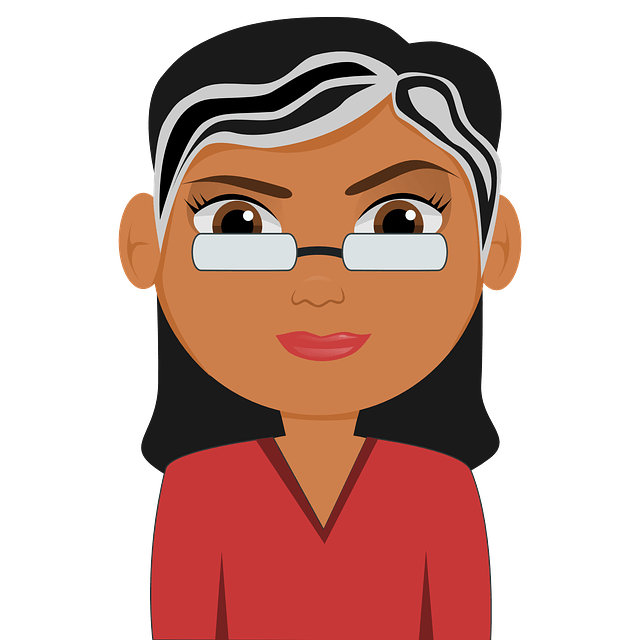 i m suffering for hairfall due to dandruff…….if i apply lemon juice so my hairs will be regrowth which i’ve already lost?? Yes, the antioxidants and vitamins present in lemon strengthen the hair follicles and promote hair growth. Apart from that, for effective results you should eat nutritional food, drink plenty of water to keep scalp hydrated and avoid junk food. Combination of honey water and lemon works ?? I have dandruff and I have just started using freshly squeezed lemon juice on my hair and scalp a week ago. And it does sting a bit, is this normal.? After 30mins I wash my hair with antidandruff shampoo then I part my hair into sections and put coconut oil after washing the lemon juice out. Is this process OK? And how long before I start seeing results. I’m black so will my hair also get bleached? PS: can I wash oily hairs(I apply oil at night) with this mixture and how much lemon juice should I add? Why does in the first day of applying lemon ch juice i felt unusual itchiness that cause so much irritation? What particular properties of lemon is the cause of that? Pls.reply, for the sake of our research project. how much lemon juice should be use with olive oil…. Can i use lemon with any essential oil? ?